RELEASE DATE ANNOUNCED! – ColePowered Games Ltd. 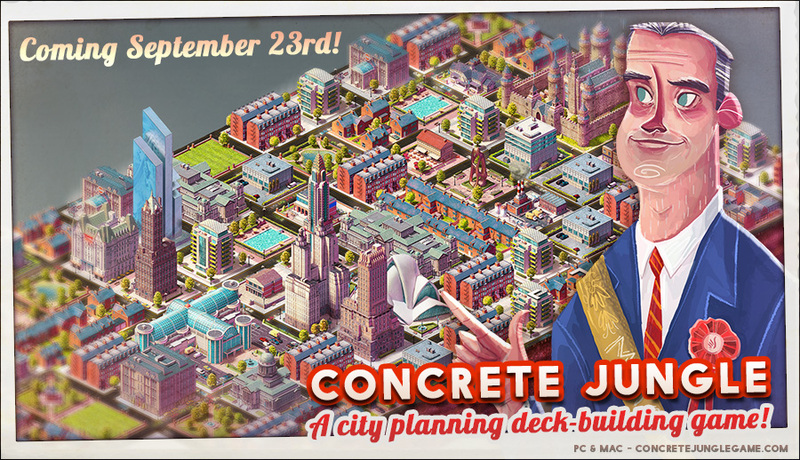 Concrete Jungle will be releasing for PC via Steam and Itch.io on Wednesday September 23rd! It’s been a long time coming, but finally the project is approaching completion. You’ll be able to play in a few weeks. Hooray! The native mac version is still in the works, but should you want to play on mac on release, the itch.io download will also feature a wineskinned version you can run on mac. If you have a halfway modern mac it will run identically to the windows version. I have bookmarked your site and I will follow all your new games. Nice video! This game is getting more interesting with each step. Join the fun-club on this website, we become stronger!